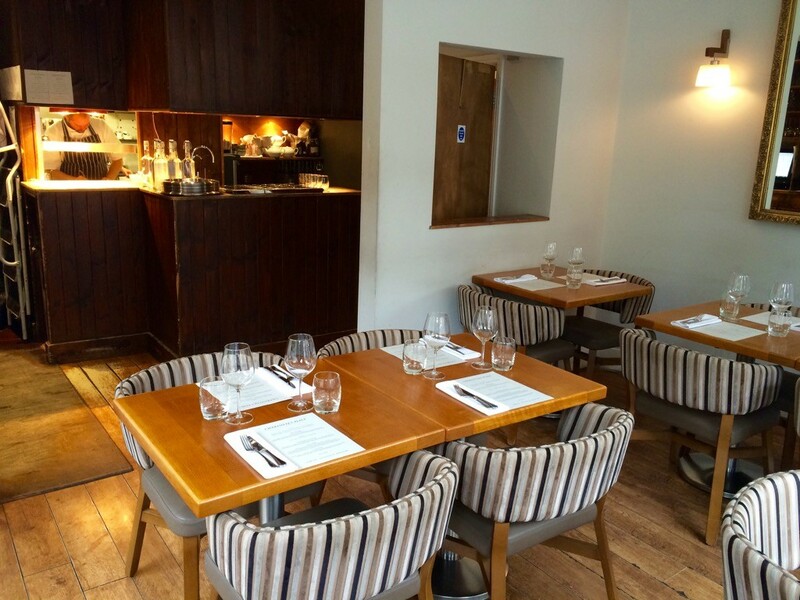 As a 14 year old Alex Wrethman was a part-time washer-upper at Charlotte’s Place, a neighbourhood restaurant perched on a corner of Ealing Common. He liked the place so much that a few years later, after working his way around the hospitality business, he bought and relaunched the 50 seater site winning 2 AA Rosettes and The Good Food Guide Readers’ London Restaurant of the Year 2013 award in the process. Wrethman has recently brought in Lee Cadden as head chef. Lee has worked at the Bingham, the Malt House and Hibiscus and has now introduced a 5 Course Tasting Menu (£29.95) which Fiona and I have been invited to review. 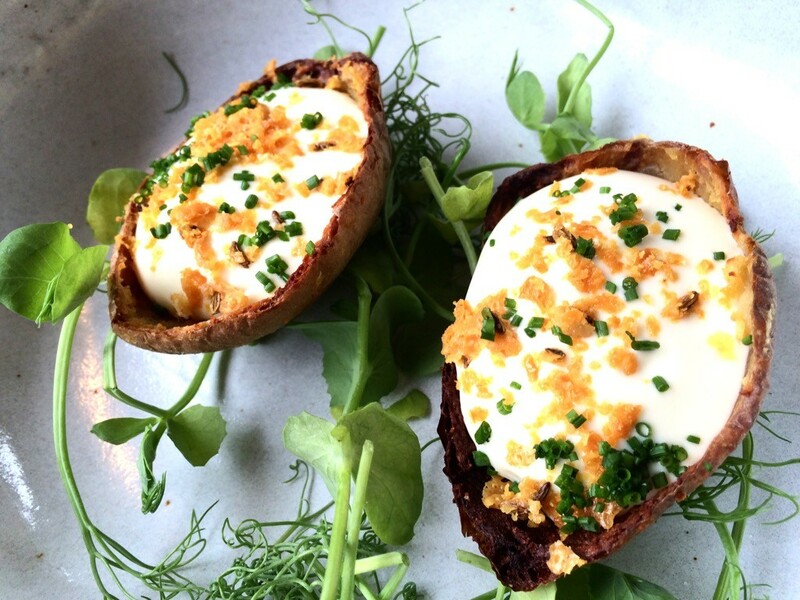 We start with an amuse bouche of deep-fried baked potato skin filled with a potato mousse blended with sour cream and topped with chives and parmesan crisp. This was a lovely combo of crunch and smooth without a hint of grease. It was a fun and unexpected way to start. 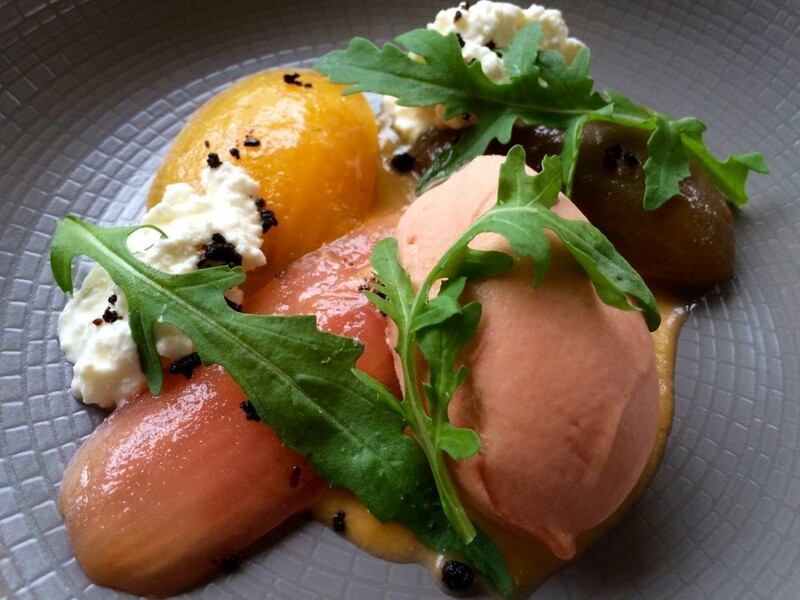 Isle of Wight tomatoes had fantastic flavour as did the accompanying ice-cream and coulis. The Jersey milk curd and black olive crumb created a sublime mix of texture and taste. 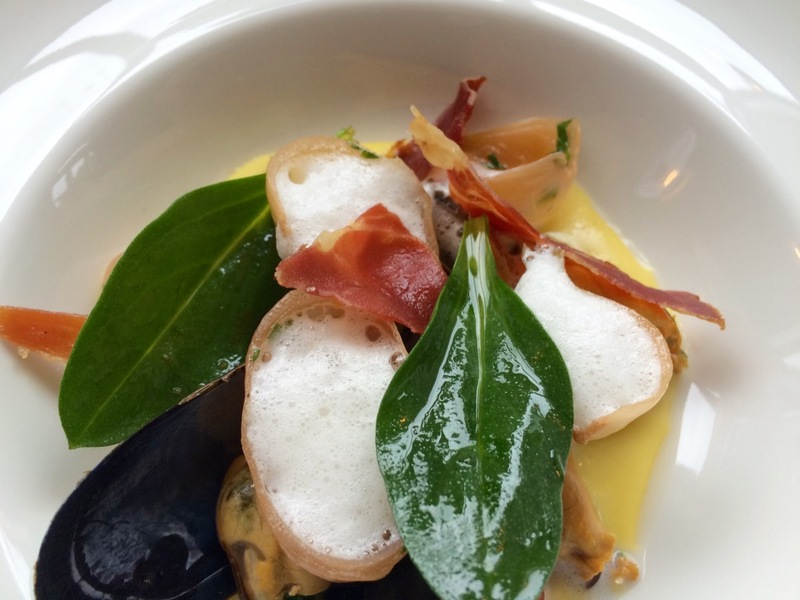 River Fowey mussels came with air dried ham, smoked onion, a sweetcorn broth and some de rigeur oyster leaves. 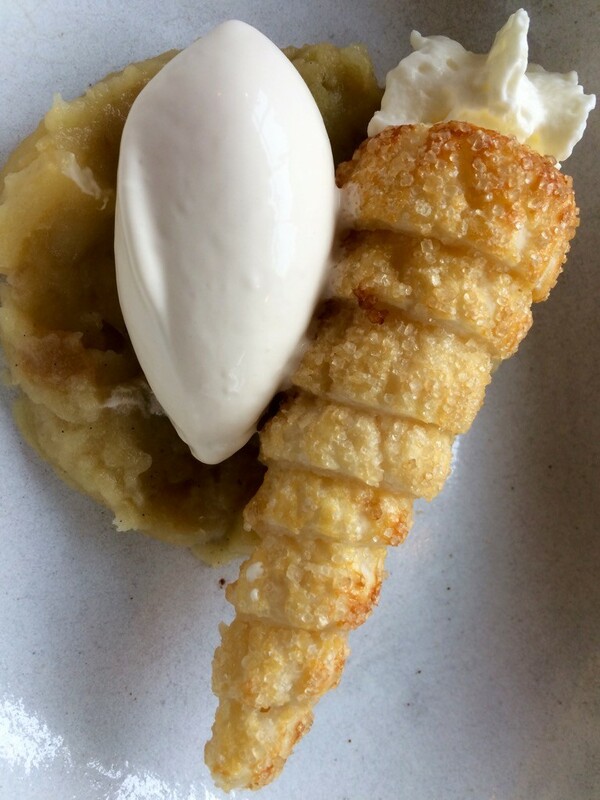 This was another beautifully composed dish with a real balance to the flavours. 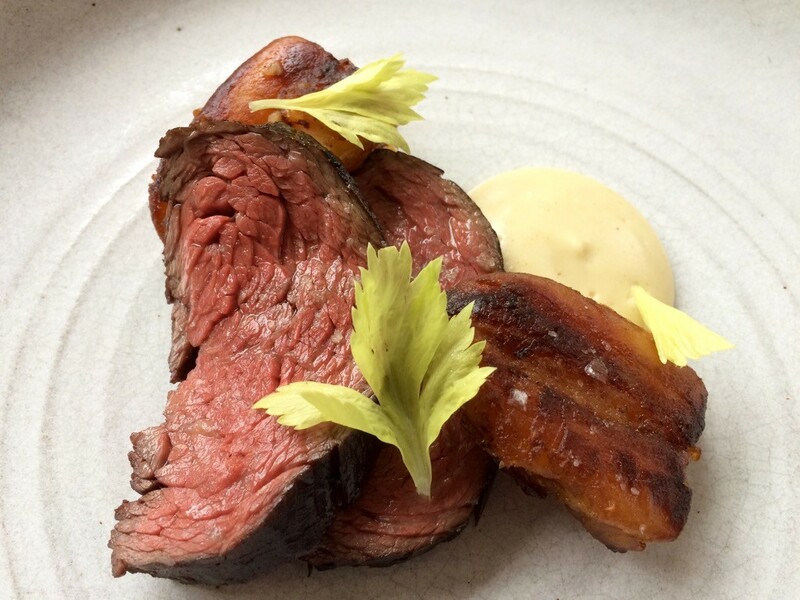 Fiona really enjoyed her chargrilled Bavette steak with chervil root. You have to know what you’re doing to cook a Bavette and Lee had used a sous-vide followed by the grill to ensure tenderness and flavour. 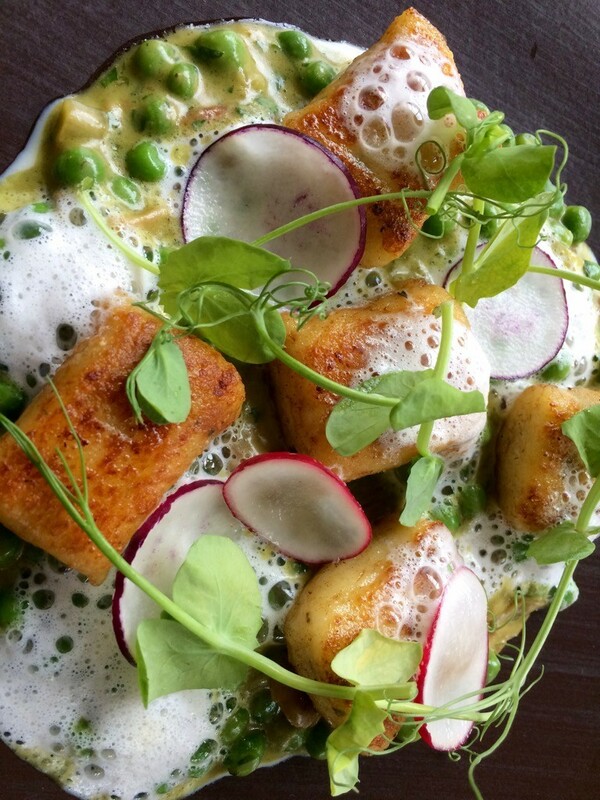 My fricassée of thyme gnocchi with cep mushrooms and English peas is one of those dishes that just fills me with happiness. The gnocchi were light and fluffy with the sauce having a creamy vegetal quality. 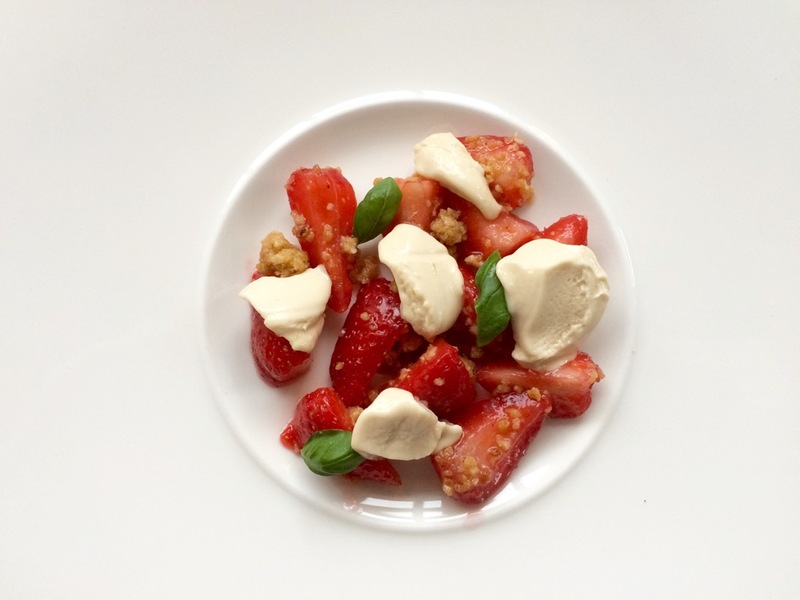 The sweetness of English strawberries was given a mild citrus lift with a gorgeous frozen lemon curd. With sensibly chosen ingredients great cooking needn’t cost a king’s ransom. With other branches in Turnham Green and in a new development in Ealing the Charlotte’s group is expanding. 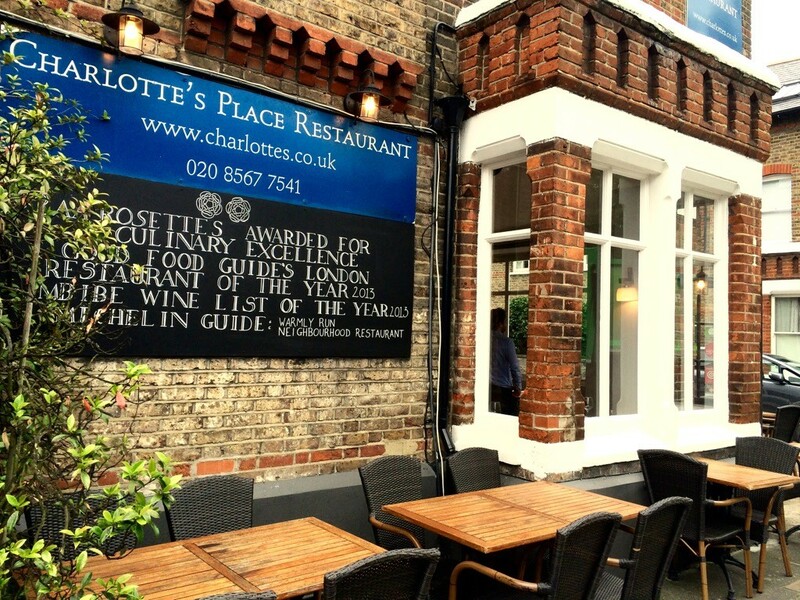 Right now Charlotte’s Place is the epitome of the good local restaurant-great food at a fantastic price. It was packed on the rainy late summer lunchtime that we went. If you’re a local it’s a no brainer-if you’re not take a trip to Ealing, you can even park!